Mustapha Abdullahi and Abdullahi Alfa have joined a list of the Flying Eagles stars who are set to move to Portuguese second division side CD Aves. Already, Aves have tabled offers to Zaharadeen Bello and Akinjide Idowu. Bello, Idowu and Mustapha Abdullahi featured at the just-ended 2015 FIFA U-20 World Cup in New Zealand, while Alfa failed to make the team. Enugu Rangers defensive midfielder Emeka Eze, who was in the country’s squad to the FIFA Confederations Cup in Brazil in 2013,is also being linked with the club. Left fullback, Mustapha Abdullahi was on trials in Spain, while defensive midfielder Idowu was tested by several Swedish clubs. AfricanFootball.com gathered that the arrangement is for the club to sign them for a token with their representatives promised a hefty sell-on fee when they do well in Europe and are then sold. CD Aves are in the Portuguese second division after they last played in the top flight in the 2006/07 season. 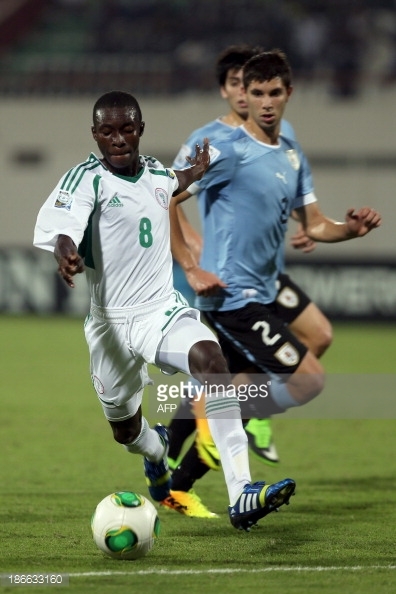 They already have a Nigerian defender, Junior Pius, who is on loan from FC Porto.